CN-4520A Shrink Tunnel — Sealer Sales, Inc. The CN-4520A Shrink Tunnel is a general purpose shrink tunnel which can be used for a wide variety of applications: laying bottles down, using full length PVC shrink sleeves, shrinking pre-form shrink bands over containers, using regular cut shrink bands, using as a curing or drying tunnel. This tunnel is equipped with an adjustable speed conveyor that allows the user to operate the tunnel up to 20 feet per minute. Two separate temperature controllers heat both the upper and lower heaters. The tunnel is heated on all four sides by ten ceramic replaceable electric heating tubes. The machine includes a stand and casters, allow the operator to easily move the machine from one location to another. Unit runs on 220V and is a single phase unit. Max temperature of the CN-4520A is 392˚F or 200˚C. Easy to operate. 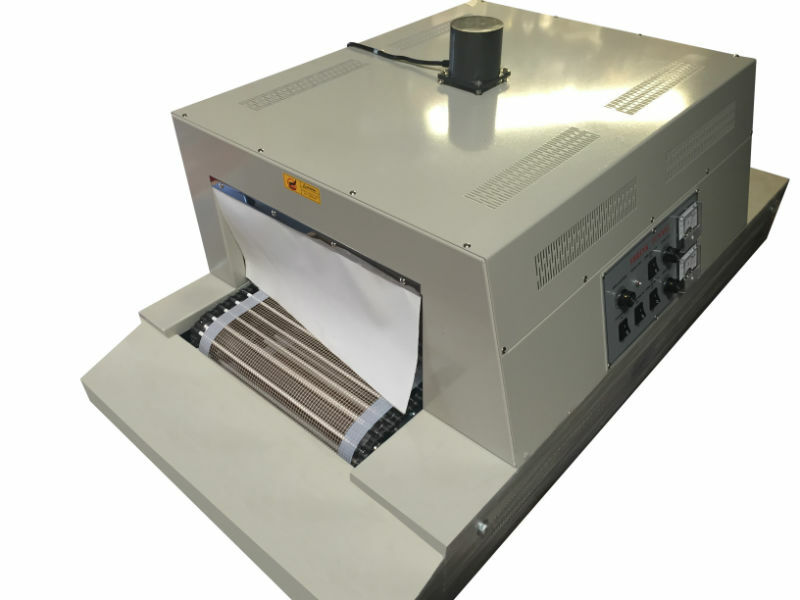 You simply turn on the power and the heater and adjust the conveyor speed according to the thickness of the film. Put the package on the conveyor belt and the film shrinks tightly around the package as it goes through the tunnel. Please note: customer must provide his/her own plug. Other options are available via special order. Double Conveyor model (CN-4520AD) also available via special order. Please let me know when this item is back in stock.